Here are some more musings on the multi-faceted complexity of our inner world. How does your personality mark your preaching? 5. The Writing Preacher – A clear thinking and able wordsmith who can write with considerable natural talent. They can’t imagine living in a non-literary age, nor living without books. There are obvious pros and cons here too. Preaching is also communicating, and being able to think through to a point of clarity is a key skill. However, writing and speaking are very different communication forms. Clear writing can lose listeners. All of us need to learn to write messages in spoken English, rather than written English. Alternatively, we need to not write our messages at all, but to plan them as spoken events. That thought would set off some personalities, and not just the lovers of writing! 6. 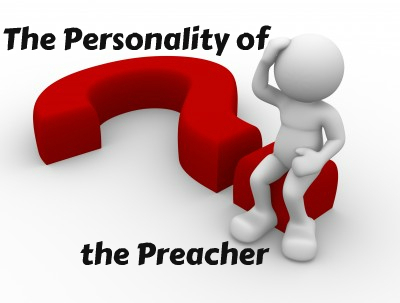 The Professor Preacher – This person loves and retains information. They read, they memorize, they analyse, they store tons of biblical, theological and historical data. What an advantage for preaching. The ability to make links with other texts, to hold it all together in the mind, and to draw it all in from various sources without having to chase things from scratch. But there is a downside. Relevance might get lost. Preaching is not a data dump. Listeners may struggle to follow apparently tenuous connections, or just get tired of information overload. The person with this tendency as a preacher will need to learn to cut and edit maliciously. Most struggle to simplify messages enough. This personality type will struggle more than most. Listeners also would probably like to know the preacher beyond the obvious ability to handle and connect information. 7. The People Person Preacher – Great people skills are worth so much, and so complex to have to learn, but nice for those who are naturals! Ability to connect, to interact, to feel comfortable, to tell stories, to be vulnerable, etc. While a lot of preachers may be more introverted, the advantages of focused solo study can be balanced by difficulties in communication (or more commonly, in post preaching interaction). The people person preacher can stand up and say the alphabet in a way that makes people feel warm and connected. And hence both pro and con. Tomorrow we’ll finish the series, but perhaps only start our ponderings!